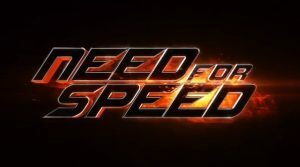 Need for Speed premiered this weekend in North America and it’s actually doing very well financially. 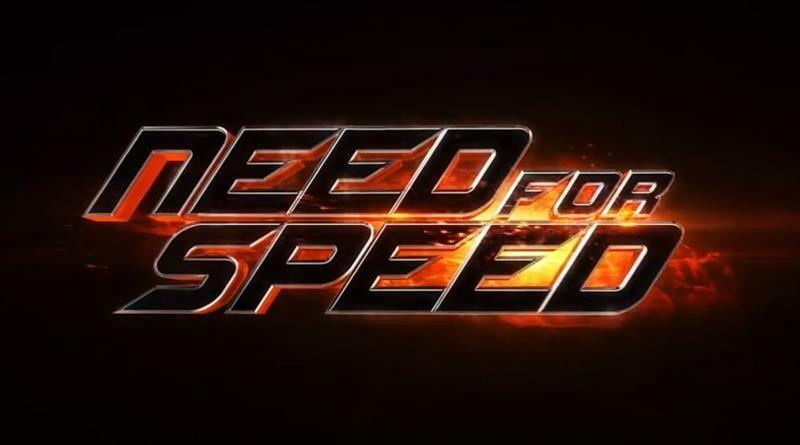 The movie tells the story of a street racer who is framed for the death of a fellow racer, and who has to enter a secret race against some of the top racers in the country in order to prove his innocence. But first our hero has to drive across the country in only 44 hours to get to the start – avoiding (or out-running)_ cops and adversaries along the way. 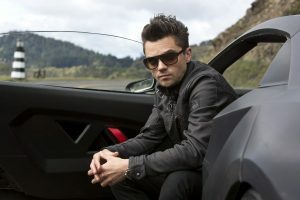 The movie stars Aaron Paul, Dominic Cooper, and Imogen Potts. Michael Keaton also has a role as the race organizer. If this sounds like the popular video game series, that’s because it was taken from that series. And like that series, the driving is video game-like. And that’s just the start of the issues that driving enthusiasts around the country have written about. 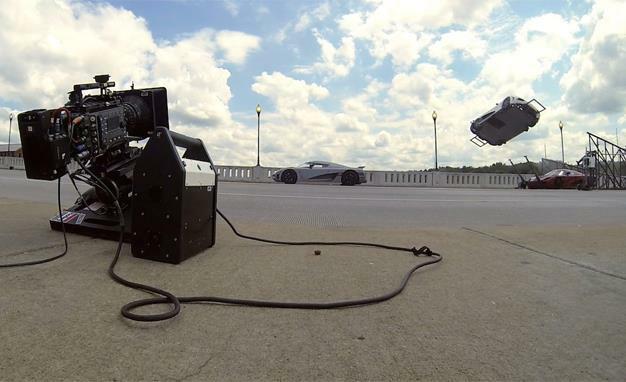 There are already several reviews about this basically brainless car race across the country. All are negative, overwhelmingly so. But we think it’s ok as simple escapism, as long as you suspend the rules of physics, logic, and good scriptwriting. So we’ll add our own comments and observations. ignore the BS homage to Carroll Shelby which claims things he never actually did (more snake oil in the heritage – suggesting he personally had anything to do with the creation of the current Shelby Mustang other than collecting a fat licensing fee). Speaking of which, here’s our hero car. You’ll notice right off the array of fake scoops – none of which aids the aerodynamics or performance. Fake scoops are popular with a certain subset of Mustang enthusiasts… probably the same ones who at a pre-teen age dream about getting a license some day. And the Mustang rides on ridiculously over-sized rims – not to contains ridiculously over-sized brakes but just for appearance. Here is the Mustang being chased by the police – a 900 HP Mustang can’t pull away from a 230 HP Crown Vic – who would have thought? And then there is the signature jump – up a curb, over about 100 feet, and landing at a very alarming angle. Not even a full-blown X Games car could make this jump. 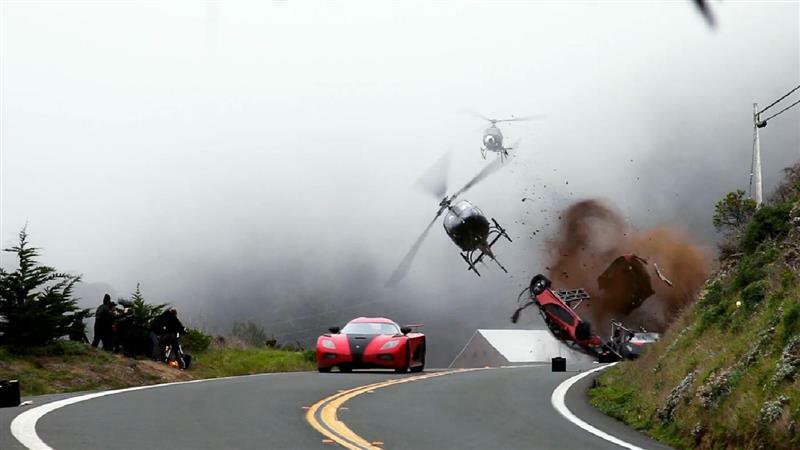 And then there are the “supercars” for the third and last race in the film: out of 6, 5 are fake prop cars built for the film (only the Saleen S7 is real, and it doesn’t crash). Most look pretty bad and all but our hero’s car come to a CGI-enhanced end. 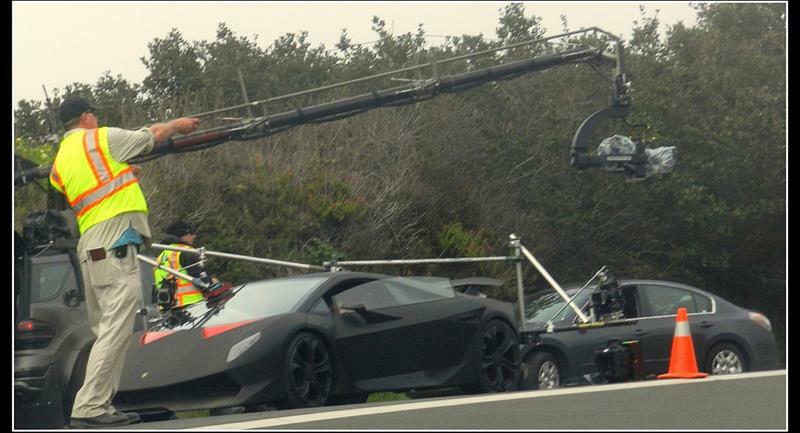 Look at the fiberglass roofline of the “Lamborghini Sesto Elemento” below. the number of flat-spotted tires in this film almost certainly set a new record. Somebody somewhere has hundreds of otherwise perfect tires to sell. how can you drive across the country at these kinds of speeds without a radar detector, or a single radar trap? Or was there a time warp back to 1973? speaking of which, 44 hours across the country is nothing these days… the record is 31 hours, give or take depending on the route. and, BTW, what is your breath like after 44 hours in a car? Yes, that’s when the first big kiss takes place. Yuck. 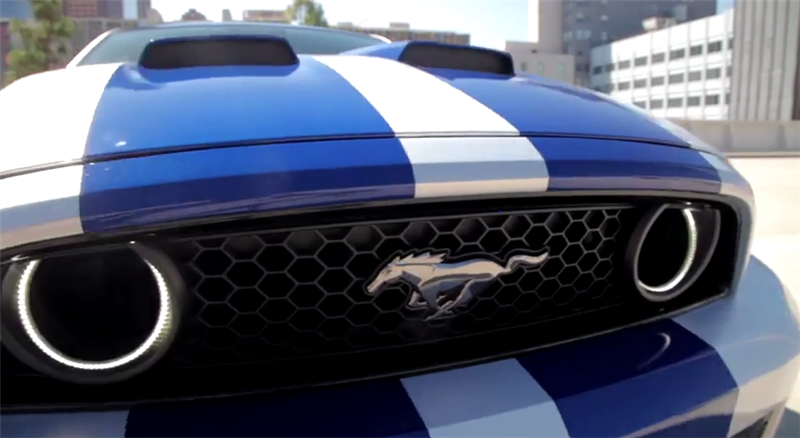 how is it that cop cars can run with a 900 HP Mustang? 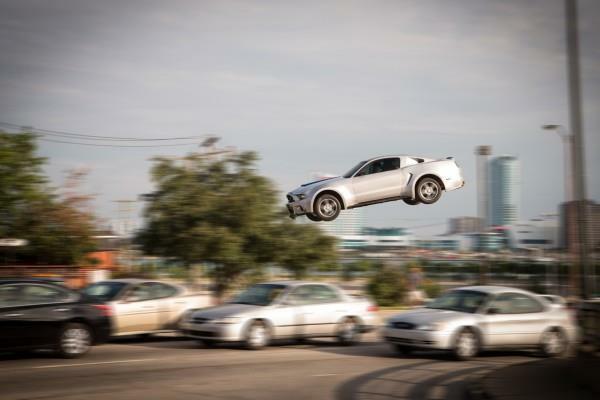 there is 1 – and only 1 – seatbelt in the entire film… on the passenger side of the Mustang and it’s only used twice. 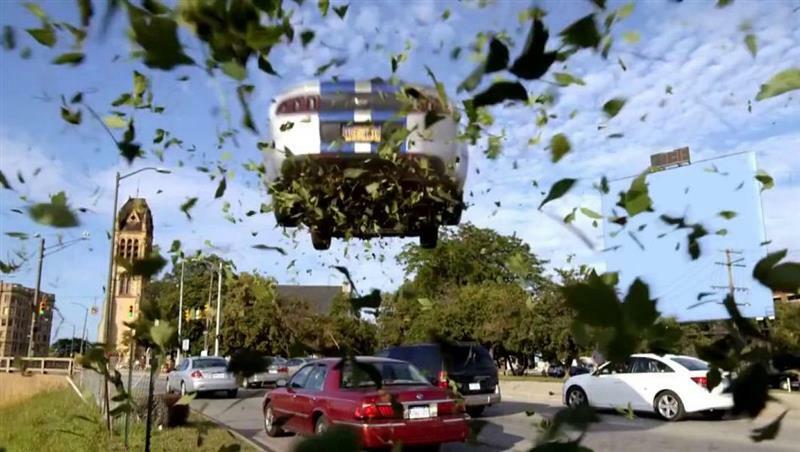 Otherwise there isn’t a single seatbelt used in the film thru jumps, crashes, chases, etc. 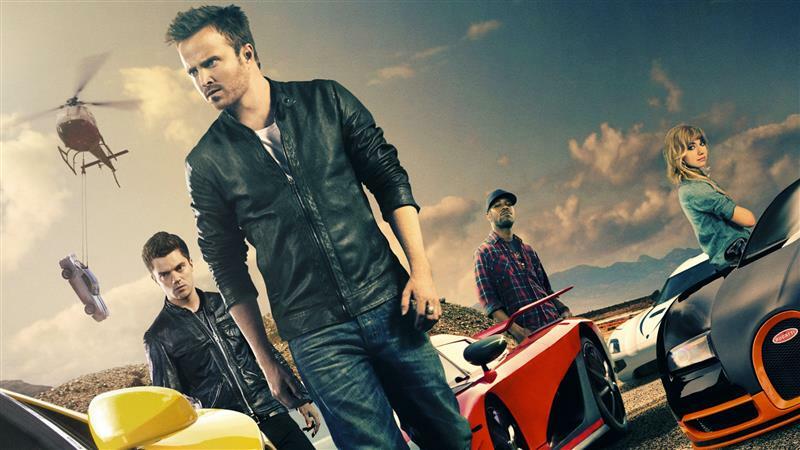 Further laughs: I have to wonder if Aaron Paul can actually really drive a car… his stunt Mustang in actuality has an automatic and you can hear it when he shifts to get the car moving. Background press releases say that the cast took stunt driving lessons.. bu that doesn’t make any of them capable or enthusiasts in real life. Surprise #1: the cops in California are reasonably depicted, which was unusual because most are depicted as “Southern” types that aren’t too smart and have a giant gumball on top of their car, aka numerous Burt Reynolds films. That’s only true for radar cops. 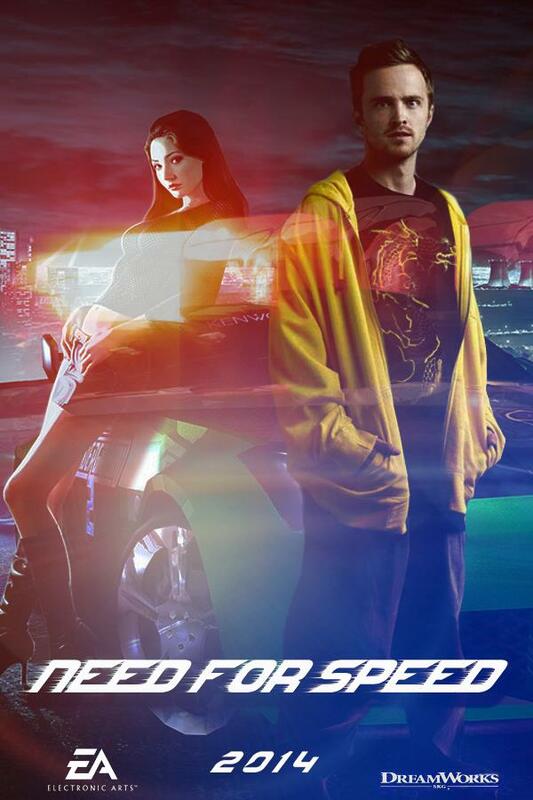 Surprise #2: after the release of the protagonist from jail (for the 2nd time), his British girlfriend is waiting for him in a 2015 Mustang. Nice to see it, and it looks sharp and shapely. 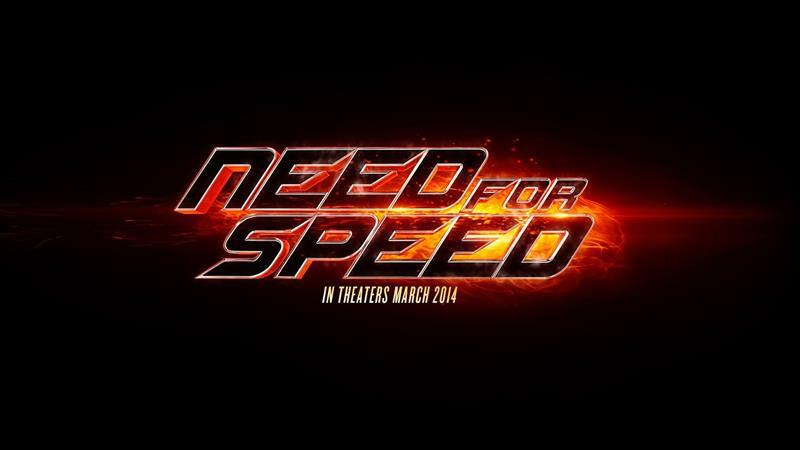 Ford Motor Company provided a lot of support to the film… what were they thinking? Is this how they want their products depicted… or may be it is? So just sit back and enjoy the ride, despite the critics (and our) opinion. It’s not meant to be a great work of art. And enjoy our gallery of images.